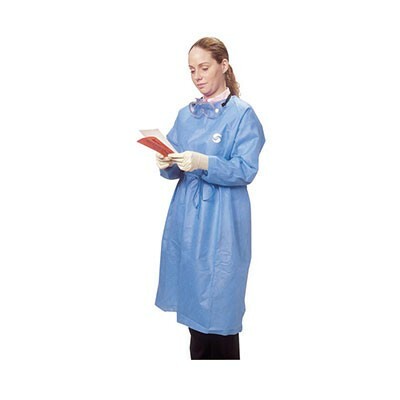 Covidien Chemoplus Protective Gowns CT5000 CT5100 CT5101 are lightweight, low-linting, splash resistant fabric. These protective gowns feature a closed front and wraparound style for added protection. Long sleeves with knit cuffs. Waist ties with Velcro neck closures. Covidien recognizes that innovation is only meaningful if it is safe, effective and usable. That’s why they are partnering with health systems and providers to combine our capabilities with their expertise to change the way we work together to achieve the best outcomes. Covidien is committed to improving lives through our medical technologies and solutions. By joining together with Medtronic, they have accelerated and advanced their ability to create meaningful innovations for hospitals, health systems and healthcare providers so they can deliver the best care possible to patients and their families around the world.